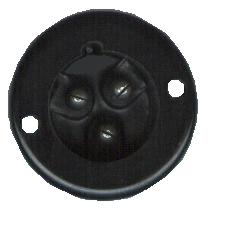 Bulgin type 3 pin Chassis plug 23mm. As used on Vintage Quad, Leek, Vox and Marshall Valve Amps. Whilst Stocks Last.